Only 12 in stock. Additional quantities will deliver at a later date. 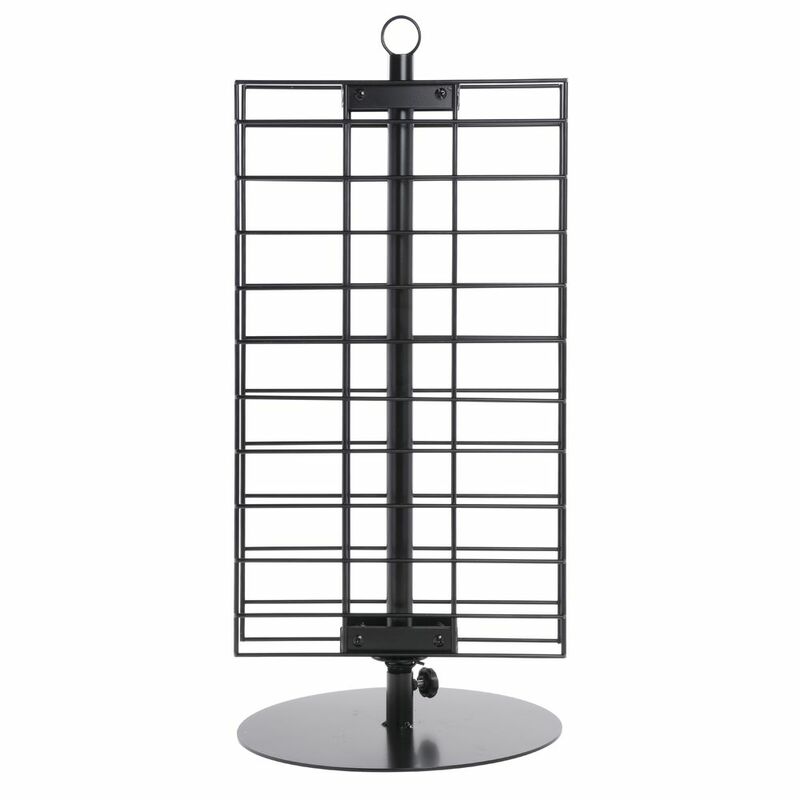 This countertop grid spinner rack comes with (2) 12"W x 21"H grid panels. 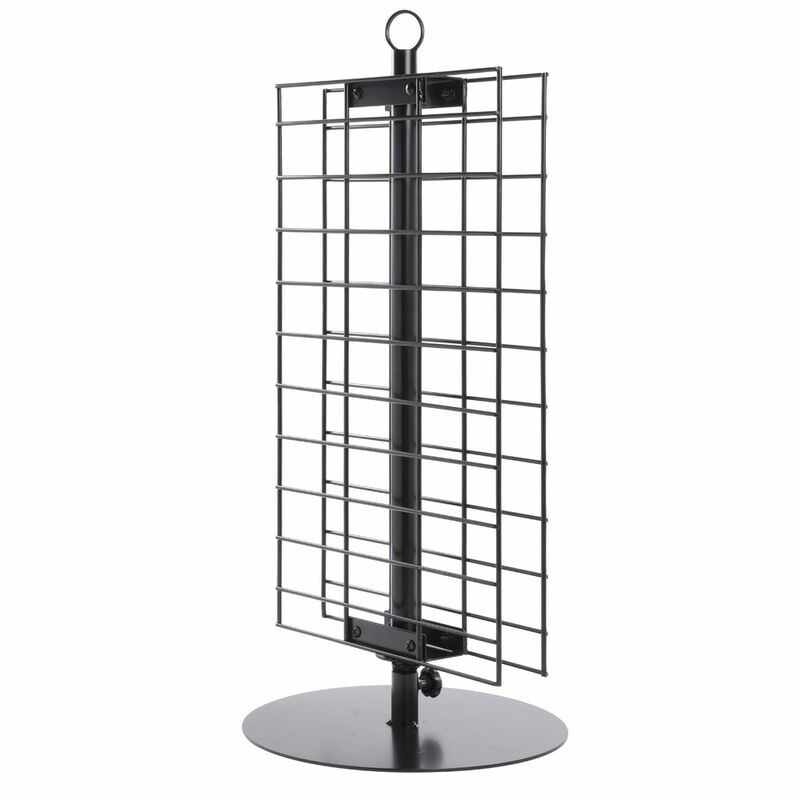 Constructed from steel with a black finish, this grid rack ships flat and is easy to assemble. 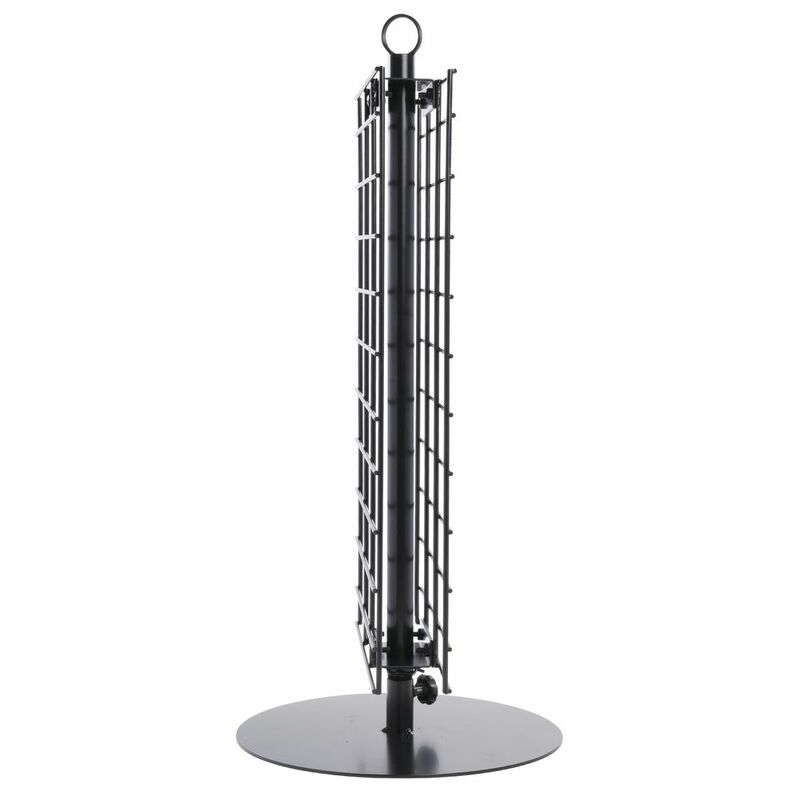 The flat base has protective pads underneath to protect your countertop surfaces. 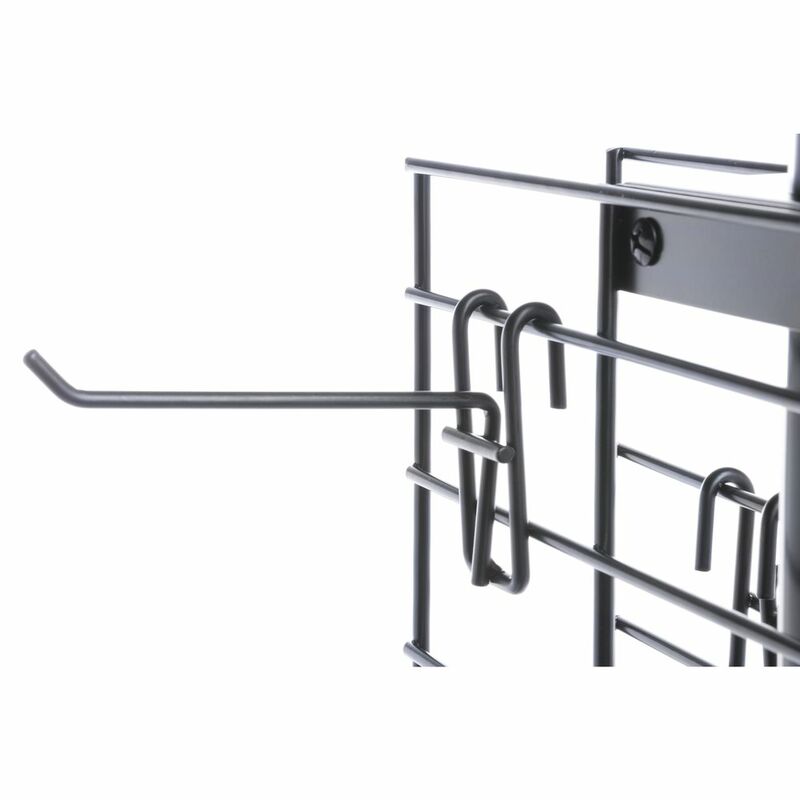 Use 4" or 6" hooks (sold separately) to display your small impulse items. 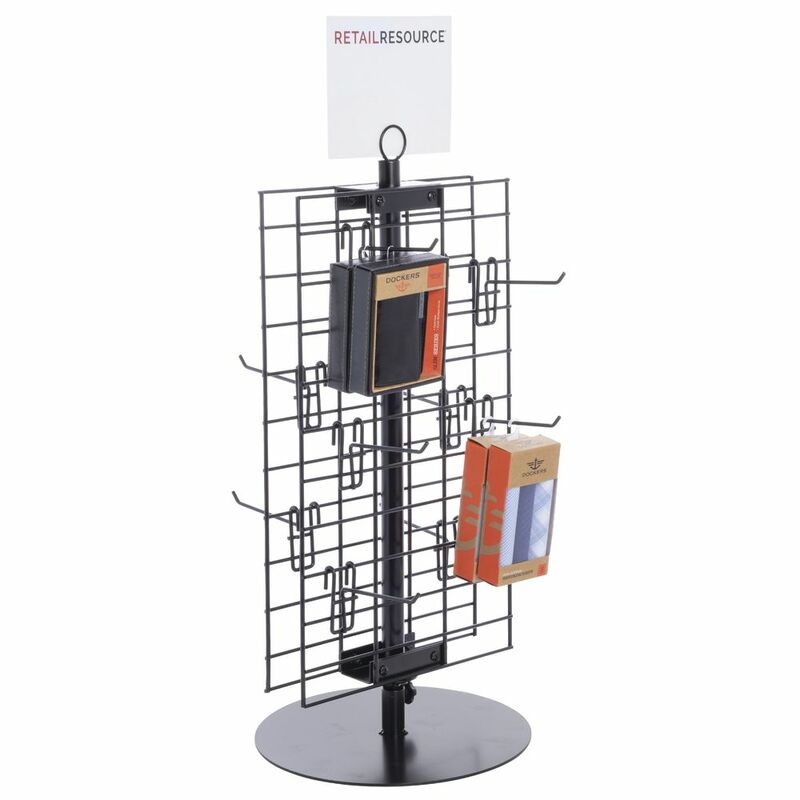 Another feature to the grid spinner rack is the loop at the top for your signage.